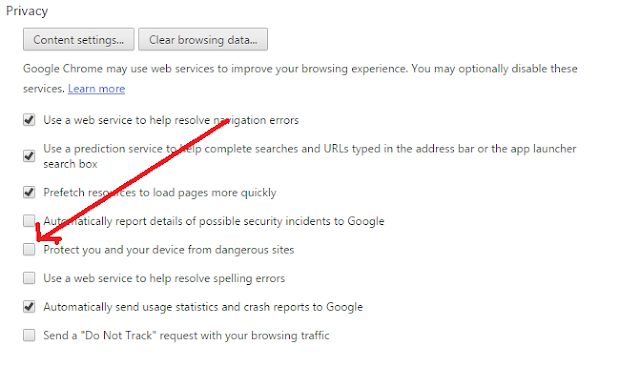 How To Stop Chrome Warning : The Website Ahead Contains Malware! Google Chrome is one of the most popular web browser in the world. There millions who trusts on Google Chrome, that is the reason why Google Chrome (powered by Google search engine) offers so many features to its users. One the finest feature of Google Chrome is to warn it's users when they attempt to visit a website that is distributing some malware or even the website or blog is hacked. This helps user to secure their computer from online hacking and threats, but at the same time the feature is annoying for webmasters, who tries to clean the blogs and websites. 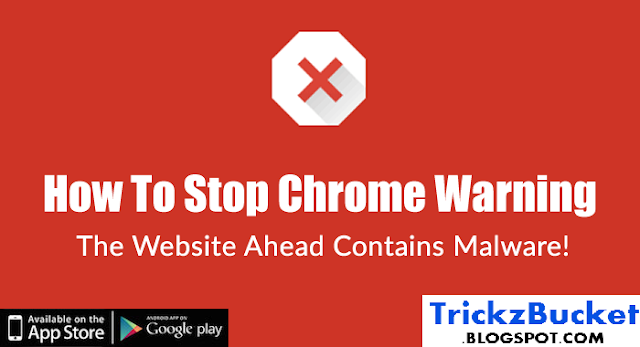 In this post, I will show you how you can stop these chrome warnings to clean the blog or website which is supposed to be hacked or have some kind of third party malware codings. Google Chrome is one of the most popular web browser in the world. There millions who trusts on Google Chrome, that is the reason why Google Chrome (powered by Google search engine) offers so many features to its users. One the finest feature of Google Chrome is to warn it's users when they attempt to visit a website that is distributing some malware or even the website or blog is hacked. This helps user to secure their computer from online hacking and threats, but at the same time the feature is annoying for webmasters, who tries to clean the blogs and websites. In this post, I will show you how you can stop these chrome warnings to clean the blog or website which is supposed to be hacked or have some kind of third party malware codings. To stop chrome warnings, Go to Chrome Settings and click on Show Advance Settings, under privacy settings, you will see an option for Protect you and your device from dangerous sites, uncheck the option and you are done. Now chrome will stop showing you 'Website Ahead Contains Malware' messages. And if you are still getting the message than please clear browser cache and saved website data. If you are still getting any other warning message after making change in your Chrome browser setting, let me know and I will try to find an answer. If this quick guide helped you, do share it on Facebook and Google plus. Trickz Bucket: How To Stop Chrome Warning : The Website Ahead Contains Malware!